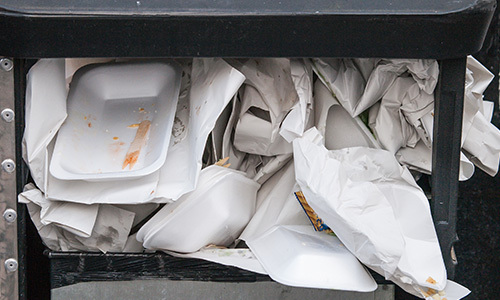 Handling trash can be a real challenge for high-volume cafeterias and food courts. Overflowing trashcans are a common sight. Trash piles up as a result, spills happen and receptacles can block access, cause congestion, and are unsightly for guests. Moving trash carts to the dumpster and back consumes valuable staff time leaving cleaning crews short-handed or absent. What’s the final impression your guests will take away? 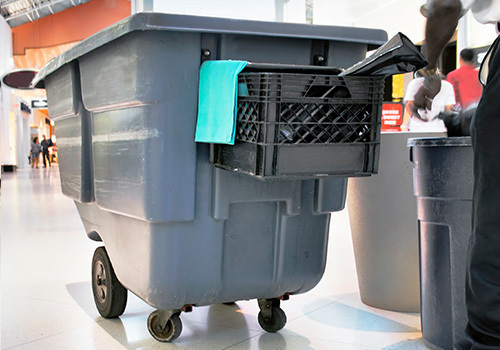 Overflowing trash cans quickly erase food quality and value among cafeteria guests. Original ecotrash® holds five times more trash than regular trashcans and gives cleaning crews powerful technology to keep-up with heavy volume. According to industry standards, humans a push a non-motorized cart 60 feet per minute and can change a trash bag in 90 seconds. 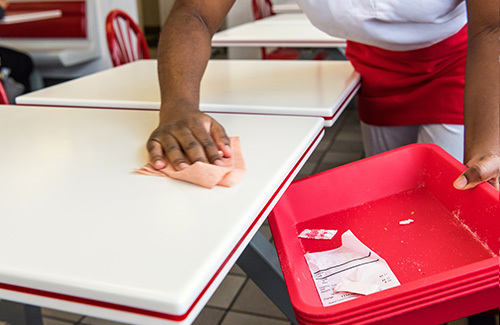 Your cleaning staff could be spending 60 to 180 minutes per day just changing trash bags and moving trash carts. Original ecotrash reduces bag changes by 85 percent and increases the capacity of trash carts by 500 percent, which means less time handling trash. Fewer trash cans, more seats: A natural reaction to high trash volume is to add more trash cans. But during peak meal times, dedicating floor space to tables should be the priority. Original ecotrash hold 5-6 times as much volume as a regular trash can, which means more trash capacity in less space. With Original ecotrash, customers can replace three trash cans with one Original ecotrash and rethink the extra space for more seating or wider aisles. 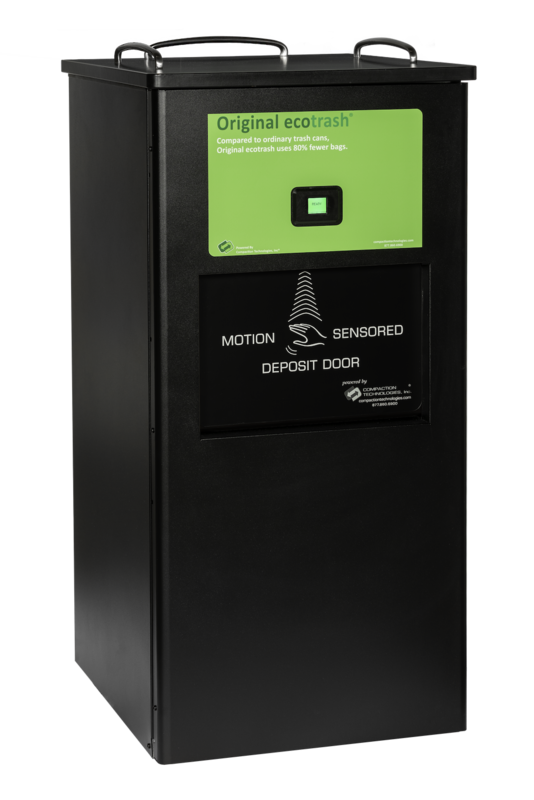 Compacting at the point of deposit saves thousands of trash bags per year. It makes sense to your guests who think sustainability is important and reflects well on your business. Original ecotrash makes your final touch-point with guests a positive one to remember next time they choose to eat out. When guests deposit trash into Original ecotrash, they’ll know you believe in sustainability. Original ecotrash is ETL certified safe, meaning guests and workers of any age can handle bags, empty and clean the unit.